Mother Nature’s rain was a great way to begin 2019! It has saturated our dry hills and is bringing life to our gardens like nothing else can. Fruit trees, natives, bulbs and grasses have soaked in these moments that restore and bring new life. 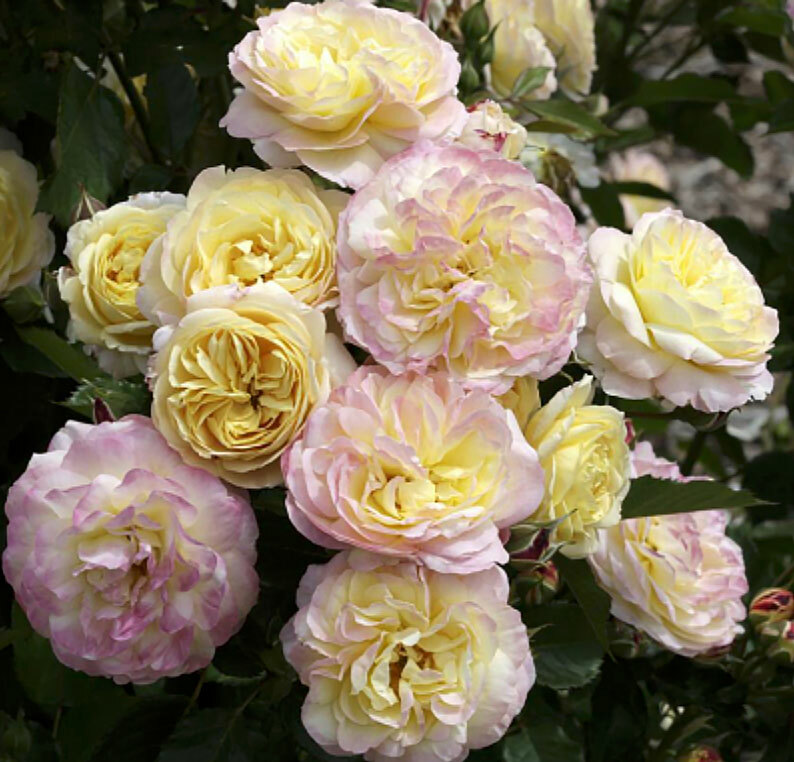 Our bare root roses from David Austin and Weeks should be arriving any day now. See our list here! We’d like to take a moment to recognize the years of hard work by rose hybridizers. David Austin dedicated his life to perfecting the English Rose and his legacy will live on in gardens around the world. A salute to Tom Carruth, Huntington Garden’s Rose Curator, who continues to breed the top American Rose. This year we will feature David Austin’s English roses: “Imogen,” “Roald Dahl” and “Olivia Austin.” We will be introducing Week’s Roses: “All Dressed Up,” “Celestial Night,” and the Huntington’s 100th “Life of the Party.” What an incredible year it’s going to be with all of these! Start pruning your roses. Check your tools for cleaning & sharpening. Stock up on ingredients for Rose Cocktail or Organic Rose food. Shovel Prune to make room for new roses! Prune to shape your deciduous lilacs, philadelphus and hydrangeas. Remove old leaves and trim off dead stems. This will aid in producing stronger and healthier plants for spring. Feed with organic Rhododendron food. Plant colorful bee, butterfly and hummingbird attracters. Come in & buy a package of seed to scatter. Botanical Interests has a wonderful and inexpensive selection. Prune deciduous fruits like plums, nectarines and pomegranates. Don’t forget your grape vines and fig trees – so easy when leafless! You should remove at least ½ of the prior years growth on your Wisteria vines – now is an easy time to prune them. Ornamental grass pruning. Winter is a great time to prune Pennisetum, Sessleria & Muhlenbergia. Plan your perennial flower garden. It might be early to buy, but it’s always smart to be looking out for those hard to find ones! We carry a nice selection from both Native Sons and Mariposa Gardens. Thanks to all of my friends who give me inspiration!